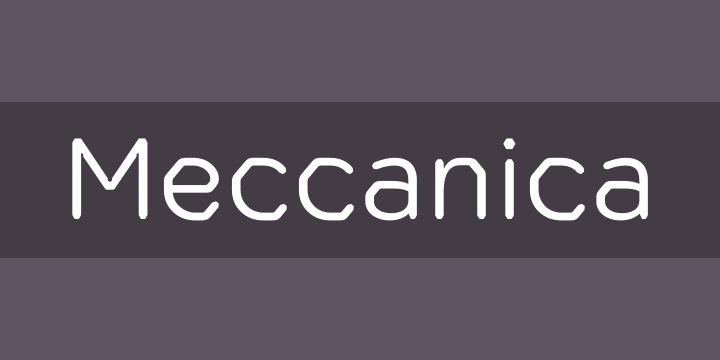 Meccanica is a geometric sans typeface like no other, its defining features include soft, chamfered edges, angular bowls and shoulders, angled/hexagonal terminals, and semi-hexagonal ink traps (in a nutshell). Inspired by the mechanics of engineering – the humble nut and bolt in particular – Meccanica is a versatile typeface that will give your own typography a distinctive voice. Initially designed as a display typeface (perfect for headlines, logotype, branding and short runs of text), Meccanica also reads well as body copy – particularly at smaller point sizes.